Players are getting kicked from matches after receiving the EasyAntiCheat 0006000043 error code, which means Ubisoft’s software detected “an authorized hacking program.” It’s a problem players have encountered since For Honor’s beta. Following its February 14th launch, For Honor’s development team has continued to tweak EasyAntiCheat’s ban criteria and, on Ubisoft’s forums, community developer Eric Pope laid out a thorough troubleshooting processed for innocent banned players. On Tuesday, Ubisoft announced a “hotfix” had come. Despite this, players say they’re still getting kicked for reasons beyond their comprehension. GamerRevolution noticed a commonality between banned users: the Xpadder controller, which may violate Ubisoft’s mandate against ‘macro’ computer programs.” With it, users could feasibly map quick strings of attacks onto one gamepad motion. The speed gives them an unfair advantage. To be fair, banned For Honor Xpadder users aren’t necessarily programming macros, but it’s possible that the controller itself checks some boxes on their EasyAntiCheat software’s ban criteria. On Reddit yesterday, one player alleged he was banned two days after purchasing the game, but was completely innocent. He didn’t use the Xpadder or any performance monitoring programs, he claims, and points users to instances where players who had not even purchased the full game had allegedly been banned from open beta. Ubisoft’s fixes didn’t work for him, either. After his post landed onto the Reddit hot page, Ubisoft responded to his support ticket and said they’d look into his case. Over e-mail, a Ubisoft representative told Kotaku that they’re aware some players are experiencing ban issues. He directed users to Pope’s troubleshooting guide, adding that “Our team is committed to providing a fair environment while also ensuring players have access to our game.” On Reddit, Pope directs disgruntled players to Ubisoft’s Customer Support. Not all banned players are completely innocent, of course, and in mass ban situations, there’s always some gray territory. HideoshiKaze, a head /r/ForHonor moderator and a Ubisoft Star Player, had attempted to use third-party software during his second go-through of For Honor’s single-player. He says that it isn’t usually a problem with other Ubisoft games’ campaign modes, and since it’s offline, other players aren’t compromised. Also, Ubisoft is vague about whether third-party software on single-player violates their ToS, he adds. For the last week, HideoshiKaze has been desperately messaging developers, asking to be let back in. He claims the software didn’t even work, and was just running in the background. Currently, he’s still banned. 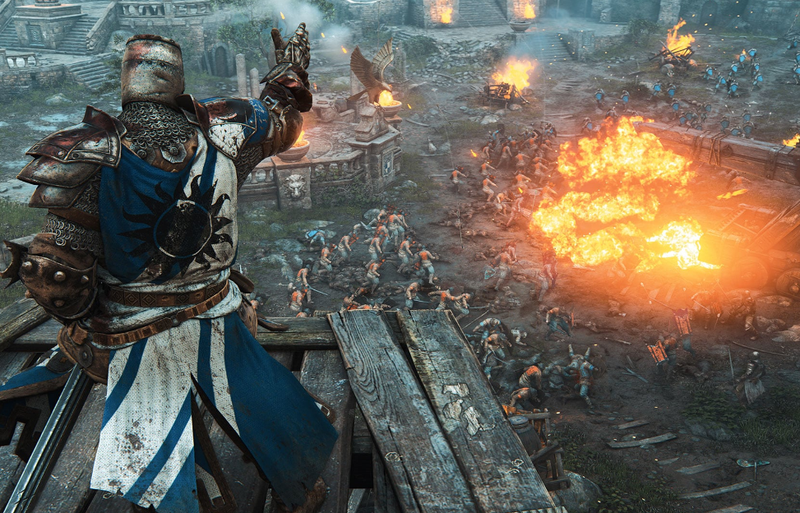 “I think Ubisoft needs to set up a Ban Appeals pipeline for this game specifically,” he told me, citing the recent wave of complaints on For Honor’s subreddit. For Honor’s launch has been riddled with technical issues, ranging from critical server lag to moot redemption codes for Deluxe or Gold edition buyers. We enjoy the game a lot regardless, and because the For Honor is so skill-heavy, any cheaters who slip through EasyAntiCheat’s cracks could poison its community.